Home / Blog / Why are Surge Protectors Important for LED Lighting? Whenever your power goes out, it doesn’t automatically mean there was a power surge. 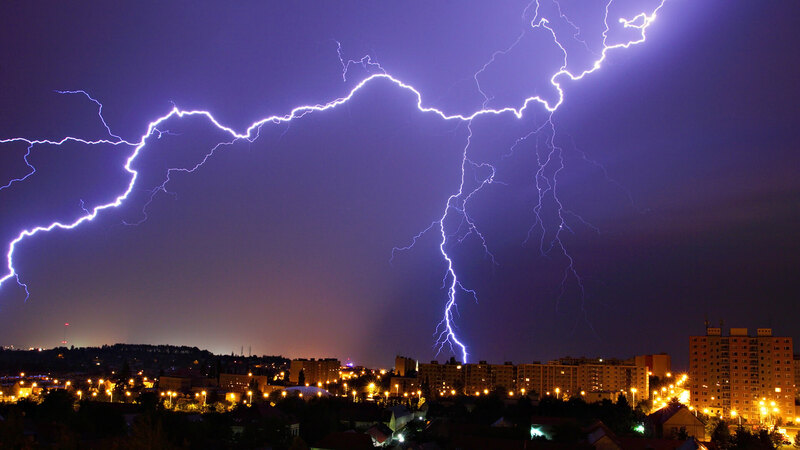 If lightning strikes anywhere along the power grid, it can greatly increase the load on the power line and force a spike in voltage into your home, shorting out any electronic device that isn’t connected to a surge protector. Sometimes power surges can even come from within the home, like when adding a large electrical power supply to your home, increasing the demand. HOW DOES A SURGE PROTECTOR PROTECT LEDS? When a power surge goes through your home, it detours through the surge protector, where it is either limited, blocked, or shorted out to prevent dangerous voltage from frying your electronics. The surge protect will also alert the homeowner of any noise, inconsistency, or spikes of voltage that may travel undetected through the wiring. LED lights are more sensitive to changes in power along the grid, the luminaires can be fried very easily if you live in an older home and do not have any surge protectors. It also depends on the quality of the LEDs, as well. US LED tubes, for example are subject to much stricter regulation and testing, as opposed to generic, Chinese-made tubes. There are many types of surge protectors out there that are made with LED lighting in-mind. They are extremely secure and sensitive to any spikes in electricity. Having protection for all phases of electricity: line/neutral, line/ground and neutral/ground and a peak current rating standard IEEE C62.41.2-2002 C-High recommendation (22KA), will keep your investment safe under lightning strikes. Stick to quality LED tubes Made in the USA like Patriot Led Products. They use the highest quality components, the latest modern LED manufacturing techniques, and come certified by multiple agencies and regulators. If you have any questions about purchasing or owning LEDs, feel free to contact their experts. They can point you towards protecting your investments by having only the best electronics.